This is a human-readable summary of (not a substitute for) the actual license. This deed highlights only some of the key features and terms of the actual license. It is not itself a license and has no legal value. You should carefully review all of the terms and conditions of the actual license before using the licensed material. You must give appropriate credit2, provide a link to the license, and indicate if changes3 were made. You may do so in any reasonable manner, but not in any way that suggests the licensor endorses you or your use. You may not use the material for commercial4 purposes. If you remix, transform, or build upon the material, you must distribute your contributions under the same license5 as the original. You may not apply legal terms or technological measures6 that legally restrict others from doing anything the license permits. You do not have to comply with the license for elements of the material in the public domain or where your use is permitted by an applicable exception7 or limitation. No warranties are given. The license may not give you all of the permissions necessary for your intended use. For example, other rights such as publicity, privacy, or moral rights8 may limit how you use the material. The applicable mediation rules will be designated in the copyright notice published with the work, or if none then in the request for mediation. Unless otherwise designated in a copyright notice attached to the work, the UNCITRAL Arbitration Rules apply to any arbitration. — More info. 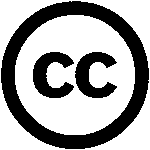 This content is freely available under simple legal terms because of Creative Commons, a non-profit that survives on donations. If you love this content, and love that it's free for everyone, please consider making a donation to support their work.